The gospel for this weekend is that of The Transfiguration. I would like to start this reflection however with a quote from Augustine Roberts. Jesus in this gospel had gone to a high place to pray. Luke tells us this happened about a week after Jesus had spoken with his disciples about the need to die, to give up one’s life, to lose one’s life in order to save it. The Latin root of the word Transfiguration means “to change the shape of”. And the Ronald Knox translation of this passage has: “Even as he prayed the fashion of his face was altered“. The fashion, construction, appearance of his face was altered. He was transfigured… and it happened as he prayed. Perhaps we could wonder what it was that had caused the shape of his face to change as he prayed. Was it the prayer itself? Was it his father’s response to his prayer? What emotions were playing themselves out in his heart? Perhaps we could wonder what Jesus might have been saying to his father in his prayer. Could it have been his customary “Thy will be done”? It’s very possible, even probable… given that this is what he prayed the whole of his life. Certainly he was listening as well… listening to the words of the prophets from past ages, Moses and Elijah; listening to the words foretelling what manner of death he was to undergo. Was this what caused his face to change? The whole of this scene seems to be a portent of things to come, but it is also a figure of things past as well. Last week we heard that the devil took Jesus to a high mountain, to offer him glory in exchange for submission; to try to convince him to assume the identity of worldly power. Jesus said no. Now, Jesus says yes to the Father on the Mountain of Transfiguration and assumes his true identity, that of The Beloved Son. And in that moment of surrender to the truth of his identity, the beauty of his soul was evidenced in the features of his face. He radiated joy, knowing that to surrender at this depth of love would change him forever. Love’s transformative power would work its miracle. He was prepared to dive into the unknown… and the joy of having had the courage to dare to do it showed in the features of his face. There is yet another time in Jesus’ life when he is “on high”… high on another mountain. But this time he is on a cross, the very same cross to which he had said yes on the Mount of Transfiguration. Here on Mount of Calvary though it is not a transfiguration that has transpired but rather a disfiguration. The Latin root of the word disfigure is to “put out of shape”: His features are now disfigured, distorted by insult and mockery and brutality. This is where his yes had led him and he now assumes the identity of ‘The Crucified’. It seems that transfiguration comes before disfiguration… at least it did for Jesus. And herein lies a paradox. Is it the same for our own lives? Perhaps we could wonder whether we are prepared to say our yes knowing that if we follow in the path of Jesus it will also lead to our own disfiguration in some way. It is very painful to wear a disfigured face. We feel humiliated. It doesn’t make sense to us. We are uncomfortable living a paradox. We feel threatened. Those of us who read Daniel O’Leary’s final column in the Tablet recently were touched by the honesty with which he described his own struggle to do exactly this. One phrase that struck me deeply was: “I am poised on the precipice of despair”. Transfiguration and disfiguration are not the whole of this story however. There is one more movement, one more yes…the great moment of liberation when we will make our final surrender in order to see God face to face. 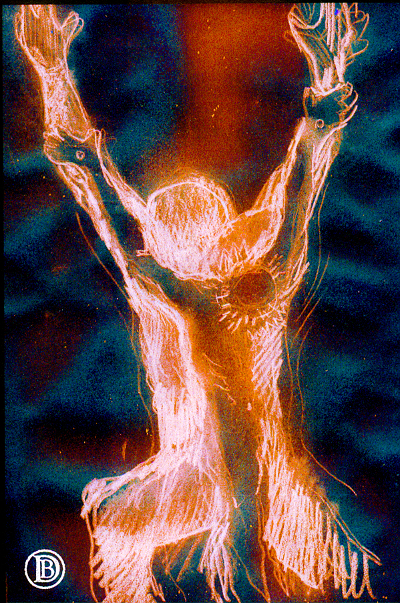 Are we prepared to make this journey from being our transfigured selves at the moment of our yes, through to our disfigured selves at the moment of our most painful suffering, to our liberated selves at the moment of our final surrender? “I began to see at the heart of the whole complex human situation, an unconscious refusal, a failure to come to some meeting place; a stopping short. And though at its root unconscious, it was a very powerful refusal, a refusal powered by a pervasive fear. A refusal so powerful, so influential of behaviour, so unreachable in its roots, that even the fear that powers it seldom goes by that name”. And isn’t this what St Benedict means by Stability?